CHINA. 2013. Altai Mountains, Xinjiang. 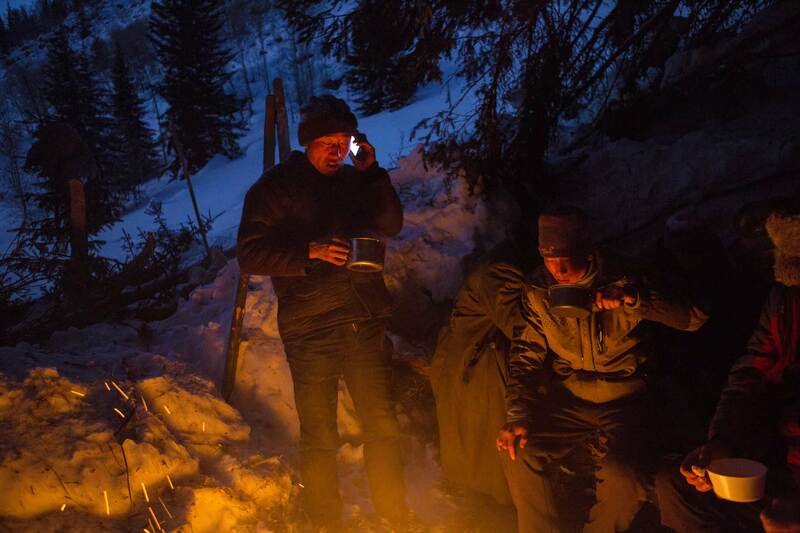 Serik's wife calls in on his mobile, while the men camp on a multi-day trip out of Akorum village, where they carry all their own supplies.